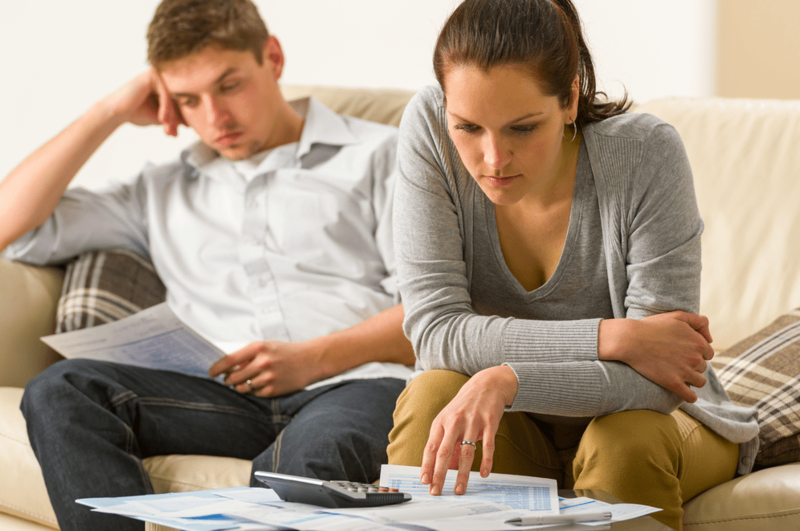 Five Ways to Deal with Financial Stress: The end of the month is approaching and you’re running out of money. This happens to you on a regular basis. But that doesn’t make you a bad person. Sometimes it’s just a case of getting more organized. There are some positive ways to deal with financial stressors, even if it seems insurmountable at times. According to the American Psychological Association, when people are faced with multiple, back-to-back decisions that test mental strength, their willpower can easily be depleted. Space out your financial decisions instead of making too many at once and becoming overwhelmed. Research suggests tracking your spending can be an effective way to keep it under control. Keep a daily list of how you spend your money. Do the same with monthly bills and other regular payments. This will tell you whether you’re living beyond your means and where you can perhaps cut back. You don’t have to avoid malls and stores altogether, but limiting your time spent there can help manage spending. You might also need to stop checking Amazon for the latest online sales. Find an alternative activity to shopping. Stay away from opportunities for impulse spending by leaving your credit and debit cards at home. Carry only as much cash as you need. While more debt might be the last thing you need, sometimes it makes sense to consolidate your debt into a single payment, especially if you are carrying a high balance on your credit card. Kingston, Ont.-based SkyCap Financial offers loans of up to $10,000, processed quickly, with an easy-to-use application process. Because it’s all online, you get your money swiftly. If your financial situation is complex, you might need the help of a credit specialist. Credit Counselling Canada can set up a session with a certified credit counsellor who will review your situation by asking about your income, spending, debts and future goals. Often your counsellor can identify a simple approach that you might have missed or a solution you can act on yourself. Counselling sessions are offered either at no cost, or low cost — and no one is denied service based on their inability to pay. Working with a counsellor gives you the chance to develop a personal and household budget that works. This process takes time and effort, but a comprehensive and realistic spending plan will help you handle short-term financial stress and reach your financial goals.